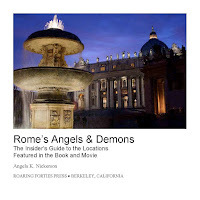 Rome’s Angels & Demons: The Insider’s Guide to Locations Featured in the Book and Movie embraces the mixture of fact and fiction that Brown delivers. Slipping between the world of conspiracies and the solidity of a travel guide, Rome’s Angels & Demons: The Insider’s Guide offers travelers a new perspective on the city. 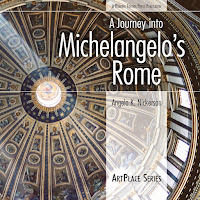 Biographical information about the book’s key historical figures—Raphael, Galileo, and Bernini—places them in a historical context, while practical tips afford the traveler an insider’s guide to the Eternal City and maps and photographs help readers see Rome the way Langdon and Vittoria did. Used as an itinerary or as a companion to the novel, Rome’s Angels & Demons: The Insider’s Guide takes the reader into a world of intrigue and collusion.